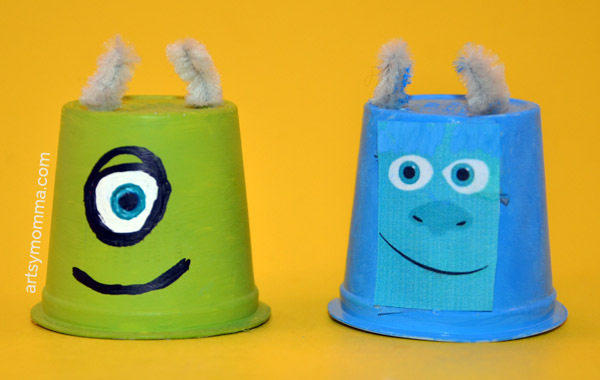 Home » Monsters University Craft: Recycle K Cups into Mike and Sulley! WooHoo! 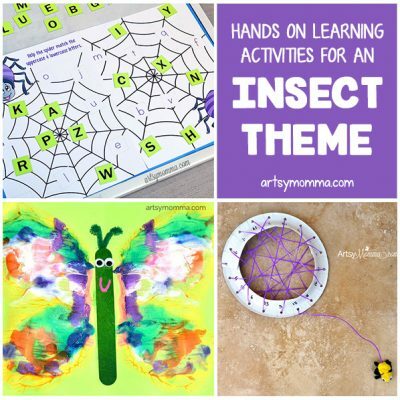 This month’s theme for the kids craft stars challenge is Monsters. We love monsters around here! My kids have watched Monsters Inc. and Monsters University more times than I can remember this past year. We decided to make a Monsters University craft by recycling k cups (coffee pods) into Mike and Sulley for the craft challenge! Check out our Monsters Inc. inspired family movie day for more monster fun! This is a great way to reuse something that otherwise would be thrown away into fun toys and/or games for the kids to play with. They would even make adorable game pieces! Paint one cup with a green color that matches the color of Mike Wazowski. To achieve this, add yellow and white to the green if you don’t have a good match. Paint the other k cup with a light blue color that matches Sulley. Let dry. Find inspiration for the faces by looking online. You could even print a face to use on the craft. I chose to paint Mike’s monster face. My 1st attempt at Sulley’s face didn’t look good so opted for printing one. Outline with black paint or permanent marker. Use a scissors or something with a sharp point to poke holes in the top for the horns. Cut a small piece of a grayish-white pipe cleaner, then fold it in half. Push it through the hole. Repeat with the other side. Bend all 4 horns slightly to curve them a tiny bit. → See also: M is for Monsters – an awesome science experiment and printable math activity! Follow the #KidsCraftStars on Instagram and the Kids Craft Stars Pinterest Board for more crafty inspiration! I love how adorable the k cup Mike and Sulley crafts look! 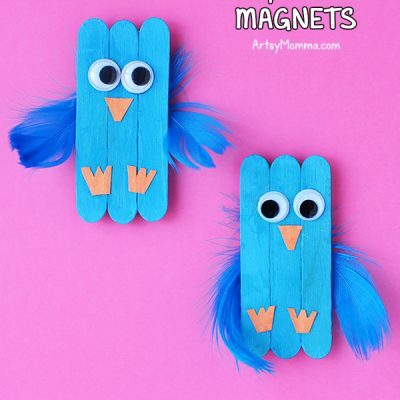 We may even try making Art (the purple monster) as another fun Monsters University craft! « Tech Savvy Kids: Be Safe. Be Smart. Have The Smart Talk! How cute! My children love these characters. Thanks! Yes, Sulley is irresistibly cute!